General Motors gave some new details today on its just-ratified agreement with the United Auto Workers union. 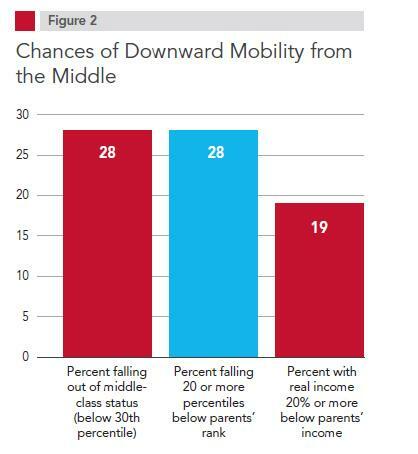 Among them: up to 25 percent of its workforce could be “two-tiers” — new hires at lower rates than veteran workers. Changing Gears reporter Kate Davidson profiled two-tier workers last year. Right now, they’re only 4 percent of GM’s workforce, but the auto company clearly has plans for more of them. There’s a caveat, though. In order for GM to hire more workers, auto sales have to pick up, company executives said during a conference call with Wall Street analysts. And it isn’t promising to hire the same number of workers as it sees sales go up: it will study its staffing needs and hire accordingly. The new contract runs through 2015 and caps the number of “two-tiers” at 25 percent at the end of the contract. It calls for the new hires to get a raise to nearly $20 an hour by 2015 (veteran workers are paid about $28 an hour now). The number of people working in its U.S. factories has dropped sharply. GM had 110,000 hourly production workers in 2005, according to its presentation. In 2008, the year before it filed for bankruptcy production, GM had 78,000 U.S. workers. Now, GM has just 49,000 hourly workers, or less than half what it had six years ago. For the first time in 58 years, GM does not expect its pension expense to rise under the new contract. One reason is that newly hired workers will not be covered by GM’s traditional pension plan; they will receive a 401(k) retirement program instead. GM says it still has 700 workers laid off from their jobs. They have first dibs on jobs at GM plants, including the workers it plans to hire when it reopens its factory in Spring Hill, Tenn. Once those workers have been offered the chance to come back, then GM will hire new workers, including temporaries. Read more about the GM contract in The New York Times. General Motors became the first domestic automaker to reach an official agreement on a new contract with members of the United Auto Workers union Wednesday afternoon. The UAW said in a written release that 65 percent of production workers and 63 percent of skilled trade workers voted in favor of the agreement, which had been tentatively agreed upon Sept 16. A four-year contract provides a wage increase for entry-level workers, and goes into effect immediately. The agreement would create 6,400 jobs in the United States, the release said. “When it seems like everyone in America is getting cuts in benefits and paying higher co-pays and deductibles, we were able to maintain and improve on our current benefits,” said UAW vice president Joe Ashton. 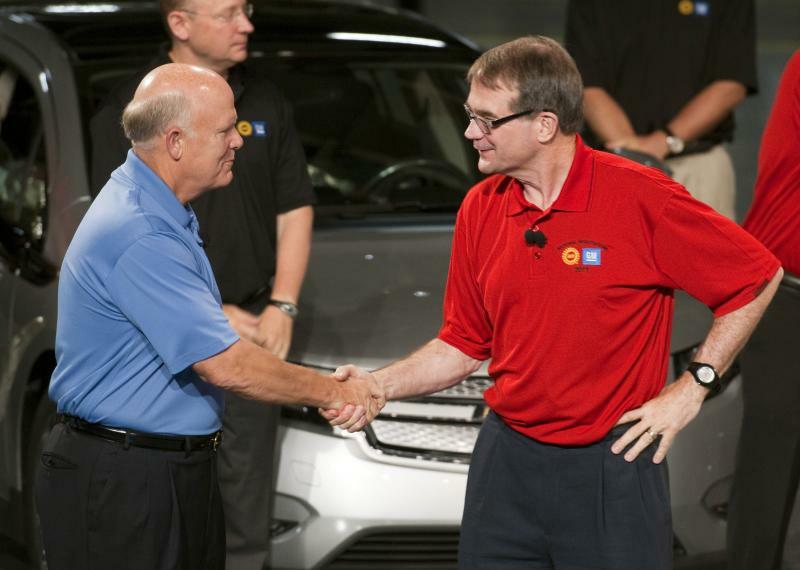 GM CEO Dan Akerson is expected to hold a conference call with Wall Street analysts at 2 p.m. The deal is complete. UAW members officially ratified their contract with General Motors. The UAW said today that its members have ratified a new four-year labor agreement with GM that gives workers a $5,000 signing bonus and is expected to preserve or add 6,400 U.S. jobs. It is the first contract for 48,500 GM hourly workers since the automaker’s 2009 bankruptcy and restructuring. The union said the vote was 65% in favor of the agreement among production workers, and 63% in favor among skilled-trades workers. 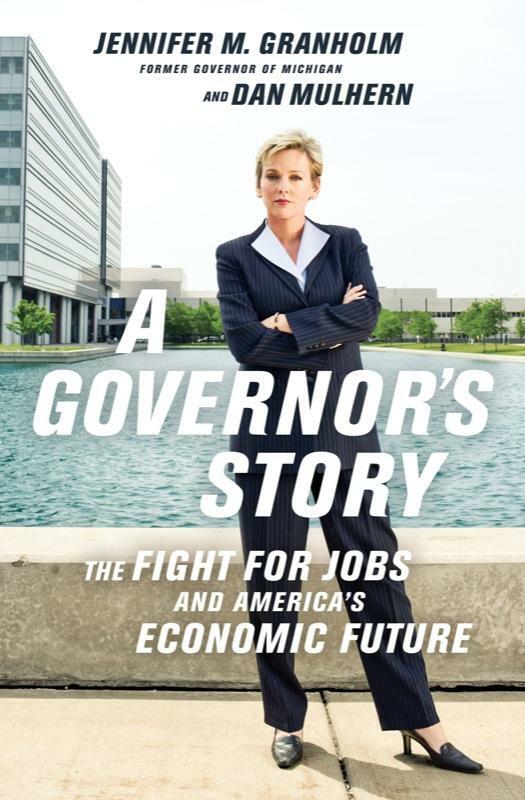 Former Governor Jennifer Granholm’s book, “A Governor’s Story: The Fight for Jobs and America’s Economic Future,” is on bookstore shelves. It offers her perspective on eight years in the job she described as the toughest facing any governor in the U.S.
She battled budget shortfalls, Republicans in the Legislature, and skeptics of federal efforts to bail out the Detroit auto industry. Granholm and her co-author, former First Gentleman Dan Mulhern, spoke with me about the book and her legacy. Jennifer Granholm says she wrote “A Governor’s Story” to offer her prescription for the nation’s economy to lower taxes and smaller government. She says it’s based on her experience, and an often trial-and-error road to an economic strategy that can work for the entire nation. with the United Auto Workers union. when it was losing billions of dollars. 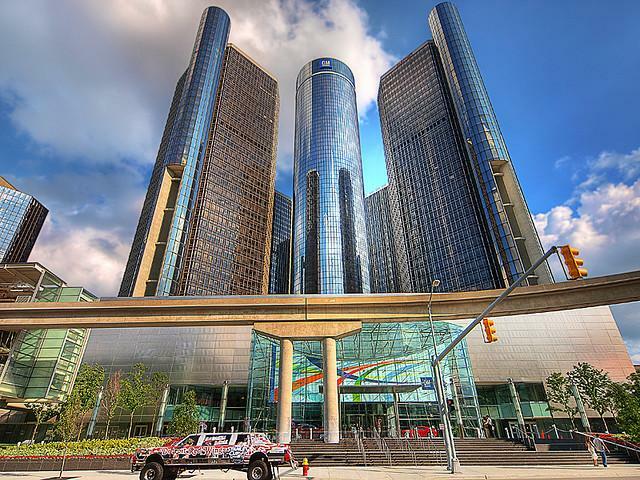 GM and the UAW reached a tentative agreement on a new contract last week. Workers are expected to finish voting on it by next Thursday. checks, but it helps GM lower costs by not giving annual raises to most workers and offering buyouts to clear out older, more expensive workers. "A critical issue in our review is whether the new contract will preserve's GM's new-found competitiveness and support its ability to contend with increasing volatility in the global economy," said Bruce Clark, a senior vice president at Moody's. to limit production and incentives, improve quality and limit acquisitions and shareholder returns in order to strengthen liquidity. GM's stock fell 72 cents, or 3.4 percent, to $20.56 during a broader-market selloff. The Standard & Poor's 500 was down 3 percent in late morning trading. MILAN (AP) - The ratings agency Moody's has downgraded the credit rating Fiat SpA citing financial risks tied to the integration with Chrysler Group LLC. Moody's on Wednesday downgraded the Italian automaker to Ba2 from Ba1. The ratings agency said it expects integration of the two automakers will mean they will have "to support each other in the event of financial difficulty." 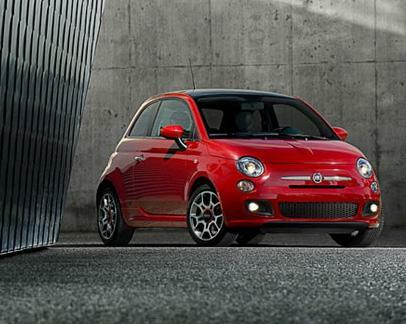 Fiat took an initial 20 percent stake in Chrysler in exchange for engine technology and management prowess. It currently holds a 53.5 percent share. Moody's said it made the downgrade even though Fiat does not guarantee Chrysler's debt, and that the two companies' finances remain separate. A report by the Economic Policy Institute looked at the growing trade deficit between the U.S. and China and its effect on jobs. The group found the trade deficit with China has been a "prime contributor to the crisis in U.S. manufacturing employment." Between 2001 and 2010, the trade deficit with China eliminated or displaced 2.8 million jobs, 1.9 million (69.2 percent) of which were in manufacturing. The 1.9 million manufacturing jobs eliminated or displaced due to trade with China represents nearly half of all U.S. manufacturing jobs lost or displaced between China’s entry into WTO and 2010. The report finds that the number of Michigan jobs displaced by the trade deficit with China totaled 79,800. That accounts for 1.75 percent of total employment in the state in that time period. Despite being a heavy manufacturing state, Michigan was not the hardest hit state by the trade imbalance. 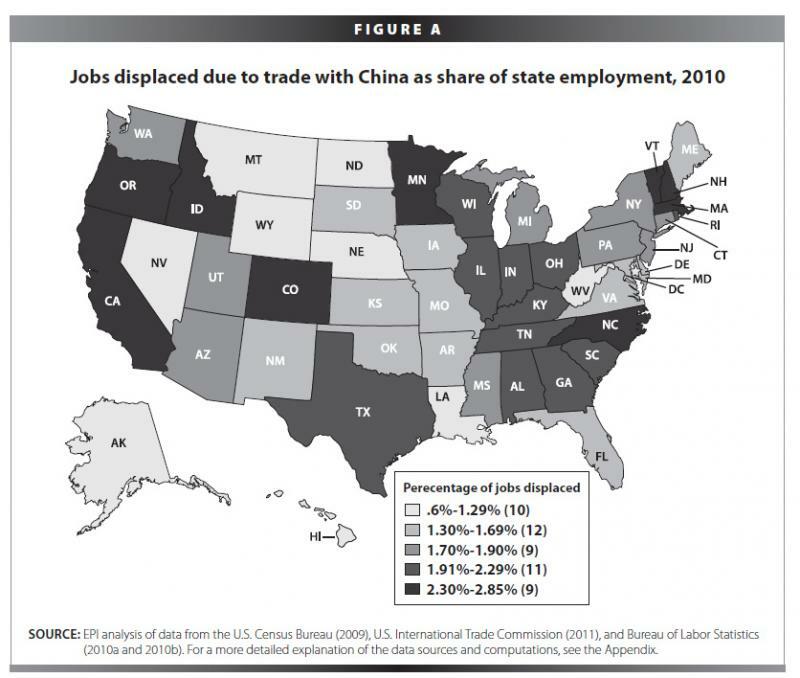 Jobs displaced due to growing deficits with China exceeded 2.2% of total employment in the 10 hardest-hit states (i.e., jobs lost or displaced as a share of total state employment): New Hampshire (19,700, 2.84%), California (454,600, 2.74%), Massachusetts (88,600, 2.73%), Oregon (47,900, 2.71%), North Carolina (107,800, 2.61%) Minnesota (70,700, 2.61%), Idaho (17,400, 2.54%), Vermont (7,800, 2.37%), Colorado (55,800, 2.30%), and Rhode Island (11,800, 2.24%). The report concludes, "the U.S.-China trade relationship needs a fundamental change. Addressing the exchange rate policies and labor standards issues in the Chinese economy are important first steps." This story was clarified at 2:00 pm to say that the $5,000 bonus was for ratification of the contract. Pay raises for entry-level workers, five-thousand dollar bonuses for ratification, and better profit sharing. Those are among the highlights of the four-year contract local UAW leaders will recommend to General Motors’ 48,500 hourly workers. UAW President Bob King says the union bargained a “great framework” for all three Detroit automakers. "They’re in different states of financial health, different states of debt. We’re hoping that this country bounces back and the European situation gets resolved – they all could be impacted by that. And we think we’ve got an agreement that helps us get through those periods of time, because we didn’t add many fixed costs to this agreement." The tentative contract promises to add or save 6,400 workers. Nine hundred of those are at Michigan plants. It also provides for a $5,000 dollar ratification bonus, and raises for entry-level workers. UAW President Bob King says those workers will also see generous health care provisions – including free emergency room and urgent care visits. "What worker being hired at any employer today starts out with the kind of health care plan that workers hiring into General Motors will have? What workers have unlimited doctor visits, $25 co-pay? Nobody." The contract also calls for $10,000 dollar bonuses for eligible employees who retire in the next two years. Skilled tradesmen who retire between November First and the end of March would qualify for additional $65,000 bonuses. Ratification is expected at the end of next week. Michigan Radio's Sarah Hulett is at the United Auto Worker's press conference in Detroit today. Entry level wages will be bumped up to $19.28/hr over the life of the contract plus a $5,000 ratification bonus. Unlimited doctor appointments with $25 co-pay. $10,000 bonus for eligible employees who retire within the next two years. Additional $65,000 bonus for skilled trades who retire between November 1, 2011 and March 31, 2012. Jobs will be added in Michigan at facilities in Warren, Saginaw and Romulus. UAW President Bob King says the next target for negotiations has not yet been determined. Union leaders from General Motors factories around the country have endorsed a new four-year contract with the company. They are recommending that GM's 48,500 factory workers approve the deal in votes during the next week. The agreement reached Friday includes a $5,000 signing bonus and improved profit-sharing instead of hourly pay raises for most of the workers. About 2,400 entry-level workers will get raises. They now make $14 to $16 per hour, about half the pay of a longtime UAW worker. Profit-sharing will be a minimum of $3,500 next year. The union now will focus on negotiations with Chrysler, and Ford will be next. Since Chrysler isn't making as much money as GM, workers there probably won't see as good of a deal. LANSING, Mich. (AP) - Michigan lawmakers are renewing a push to require more businesses selling items over the Internet to collect the state's 6 percent sales tax. Legislation dealing with the issue was detailed Tuesday at the state Capitol. The Michigan Retailers Association says some out-of-state, online-only retailers use legal loopholes that allow them to avoid collecting state sales tax at the point of sale. The retailers association says that gives the online retailers an unfair price advantage and hurts Michigan businesses that have storefronts and collect the sales tax. Bills to be introduced by Republican Rep. Eileen Kowall of Oakland County's White Lake Township and Democratic Rep. Jim Ananich of Flint would move online-only retailers under the same sales tax collection laws under which brick-and-mortar businesses operate. Detroit could be home to first patent office outside of Washington D.C.
President Obama signed the America Invents Act today which could establish Detroit as the first city to set-up a U.S. Patent and Trademark Office outside of Washington D.C.
DESIGNATION.—The satellite office of the United States Patent and Trademark Office to be located in Detroit, Michigan, shall be known and designated as the ‘‘Elijah J. McCoy United States Patent and Trademark Office’’. Patent legislation that had a big push from Michigan’s research universities and the Detroit automakers has been signed into law. The “America Invents Act” promises to speed up the patent process, and help reduce a backlog of some 700,000 patent applications in Washington D.C.
Part of that includes opening a satellite patent office in Detroit and two other locations. "It really puts the patent office in one of the invention centers of the nation, which is the Detroit area," said Steve Forrest, vice president for research at the University of Michigan. Health care building boom: Does another hospital in Oakland county make sense? New health care jobs have been a big area of growth in an economy struggling to create any jobs at all. It's no wonder communities are working to attract new health care investments. 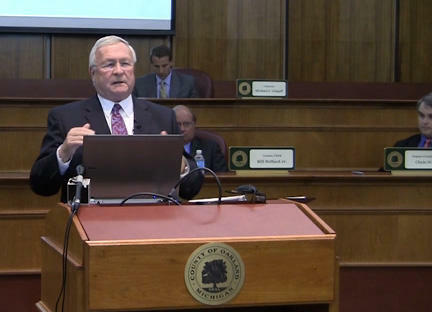 Marketplace's Gregory Warner produced a piece on what he calls L. Brooks Patterson's mission: "to rescue Oakland County by creating a medical mecca." Patterson thinks a new hospital complex will bring in 3,000 jobs. He's seeking approval to build the McLaren Health Care Village in Oakland County. But as Warner makes clear in his piece, people question whether the new hospital is needed. And some economists say building redundant hospitals increases health care costs and taxes for all of us. It's a point that makes Patterson a little hot around the collar. "You couldn't kill it no matter what you did to it." The last Ford Crown Victoria rolled off a Canadian assembly line Thursday, marking the end of the big, heavy Ford cars that have been popular with taxi fleets and police departments for decades. Since 1979, almost 10 million Crown Victoria, Mercury Grand Marquis and Lincoln Town Cars -- so-called Panther Platform vehicles -- have been sold. 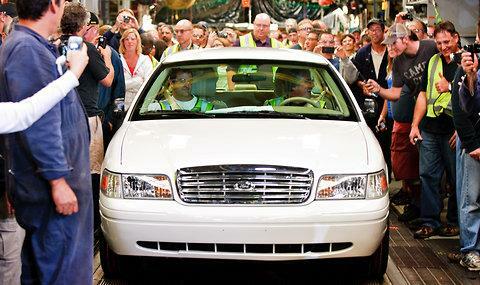 The last "Crown Vic" rolled off the assembly line at 12:30 p.m. yesterday, according to the NY Times City Room blog. They write that the car will likely be exported to Mexico or Saudi Arabia. The Canadian auto plant where the Crown Victoria was made, the St. Thomas Assembly Plant in Ontario, is closing. CNN Money reports that Ford "is offering $100,000 cash payments or relocation offers, among other programs, for the workers at the plant." So with the Crown Victoria out, what will future cop cars look like? CNN put together this gallery. Imagine going home out at night while your computer keeps doing your job. 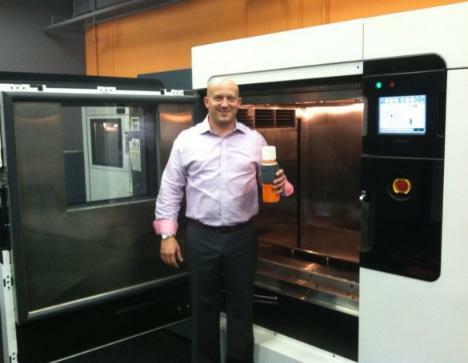 That’s the basic idea behind a trend in manufacturing called “lights-out machining.” You punch out. The machines keep working. It’s a way to make a lot more product with a lot fewer people … and fewer jobs. Here’s the story of two Michigan companies that are trying to boost productivity and stay competitive by turning out the lights and going home. First, a little perspective. Man’s love/hate relationship with automation has been around a long time. Take the 1936 classic Modern Times. Charlie Chaplin is in a frenzy. He’s tightening bolts on the factory line. The boss straps him into a person-feeding machine, so his hands can keep working while his mouth eats lunch. It’s a nightmare of productivity, where men are captive to machines. But manufacturers today have a different vision. “At the end of the shift, my operators go home. 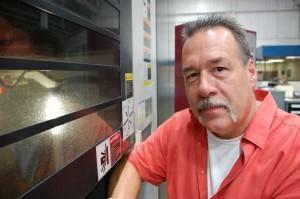 Their machines continue running in the building with nobody in it,” says John Hill. Hill owns a small business called Midwest Mold Services. The company designs and builds metal molds for plastic parts. These parts wind up in cars, medical devices, and even as the emblem on the back of a Cadillac. Hill says in the old days, shaping these metal molds was a job for one machine and one operator. 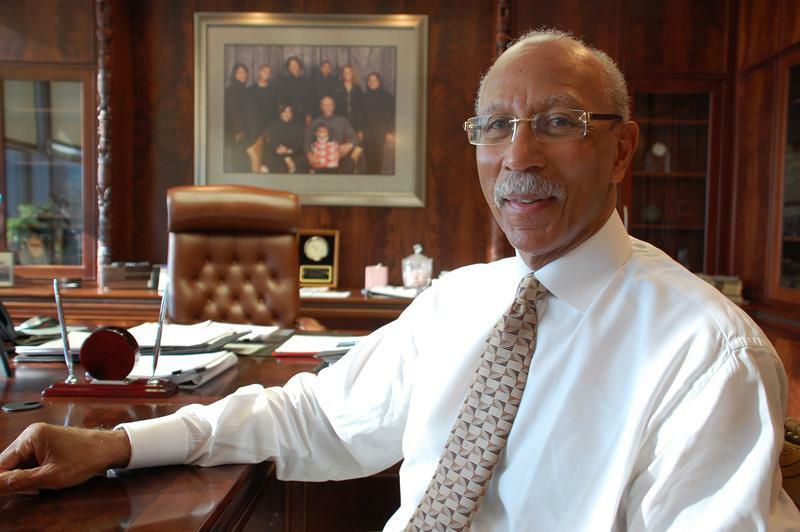 A conversation with Mayor Dave Bing, "Detroit is coming back"
The city of Detroit is in the news very often and rarely with good news. Declines in population, and a troubled school district are just two of the stories that are plastered across newspapers and reported on in the national media. At the same time, stories about young people and artists moving into the city have also gained national attention. Michigan Radio's Jennifer White spoke with Mayor Bing about what he's doing to help brighten the city's future. Mayor Bing says, "Detroit is coming back." He adds new companies are moving into the downtown and midtown areas, and he says the Riverfront is a great asset. Bing also says there is too much focus on the negative. He hopes people will look at the positive things happening in the city, and he invites people to come see for themselves. The Michigan ACLU filed a lawsuit in federal court today asking a judge to nullify a state law that prohibits panhandling in public places. The lawsuit names Michigan state attorney general Bill Schuette, the Grand Rapids Chief of Police Kevin Belk, and Grand Rapids police officer Gregory Bauer as defendants. 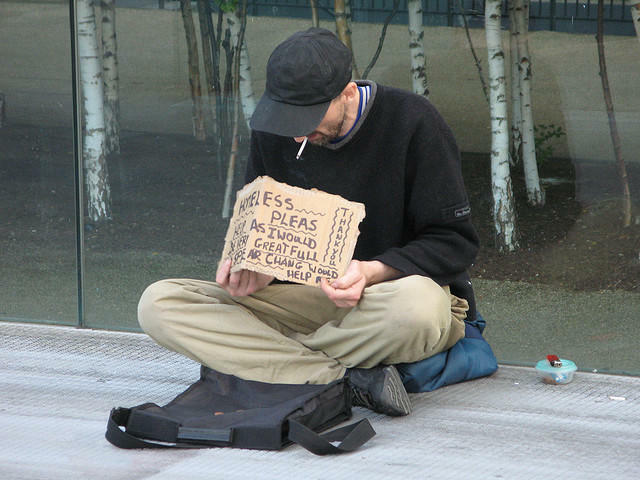 The state law in question defines a "disorderly person" in part as a person who is "found begging in a public place." ACLU of Michigan representatives say between January 1, 2008 and May 24, 2011, the Grand Rapids Police Department "produced 399 incident reports of individuals prosecuted under the unconstitutional state statute" - prosecutions that ACLU representatives say say led to 1,641 days in jail and $60,000 in expenses to taxpayers. ACLU lawyers filed the lawsuit on behalf of two Grand Rapids residents, James Speet and Ernest Sims. The lawsuit indicates the two have been "repeatedly arrested or ticketed by police for violating the state’s blanket ban on begging in public." DETROIT (AP) - Online retail mortgage lender Quicken Loans Inc. says it plans to hire 500 new workers, mostly based in Detroit. The Detroit Free Press and The Detroit News report the company plans to kick off the hiring effort with a job fair Saturday at its downtown Detroit headquarters. The company wants to hire immediately for several areas including mortgage banking, marketing and technology. The event runs form 10 a.m. until 1 p.m. Job listings are posted online. 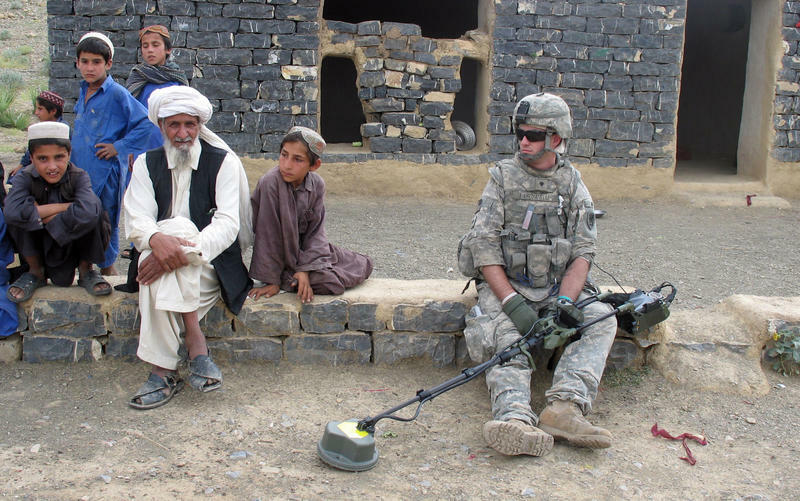 Filmmaker Heather Courtney didn't set out to make a war story. "I set out to make a story about rural America," she says. 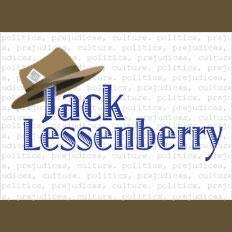 Her new documentary, Where Soldiers Come From, is both war story and small-town homecoming saga; it follows a group of young men who sign up for the National Guard, serve in Afghanistan, and then return home to their families in Michigan's woody Upper Peninsula. Courtney joins NPR's Scott Simon to discuss the documentary, along with two of the young soldiers featured in the film, Dominic "Dom" Fredianelli and Matt "Bodi" Beaudoin. 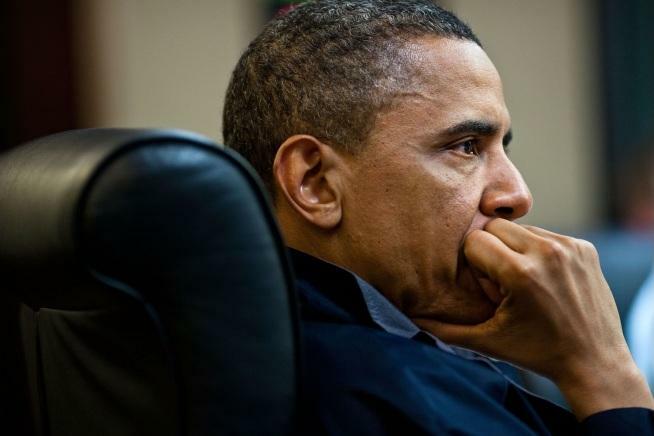 Not surprisingly, that was President Obama, in his nationally televised speech on jobs. Okay, now, who said this a few minutes later: “We are in a crisis, and cannot afford to waste time on unproductive political posturing and partisan fighting. “It’s time to make the tough decisions needed to reinvent the United States.” This time, that wasn‘t the president, but our own Republican governor, Rick Snyder. His response to the president’s speech sounded much more cooperative than confrontational. And that attitude might just contain a tiny sliver of hope. Now, I know that Rick Snyder is not Speaker of the House John Boehner. Nor does every Michigan Republican think the same. "Get up. Get out. And go see something we'll remember for the rest of our lives." 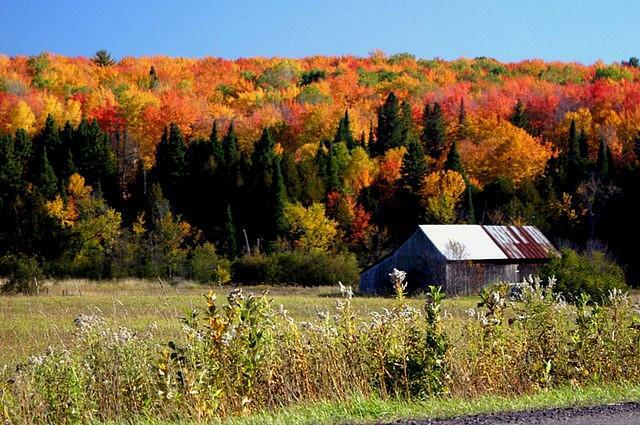 So says the new radio ad from Pure Michigan urging people to get outside and take in the fall colors in Michigan. The budget is $2.4 million. Among the new radio ads promoting Michigan tourism feature Holland and St. Ignace. They'll run in-state plus in Fort Wayne, Toledo and South Bend. Other targets for "Pure Michigan" ads this fall are the good citizens of Chicago, Indianapolis, several Ohio cities, Milwaukee and Green Bay. Here's the television ad. Effective? Saab Automobile AB filed for bankruptcy protection Wednesday. 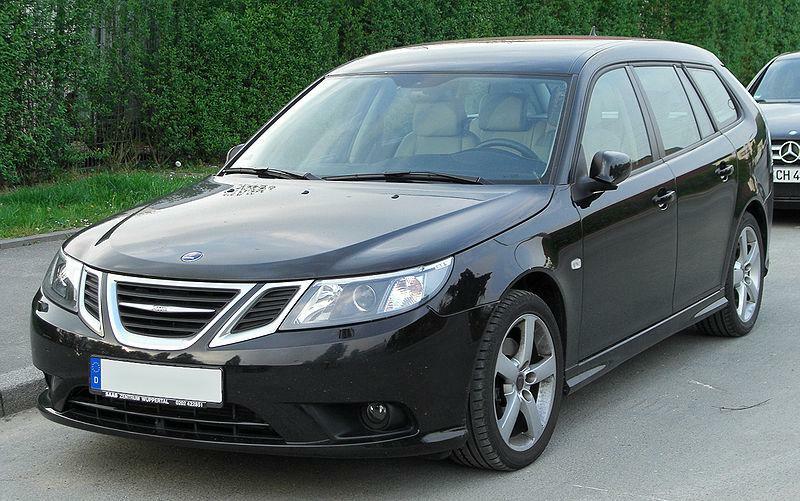 Saab used to be owned by General Motors. GM sold the company to Spyker Cars in January of 2010. The owner of cash-strapped car maker Saab filed for bankruptcy protection on Wednesday in a last-ditch attempt to salvage a brand crippled by production stoppages, withheld salary payments and mounting debt. Swedish Automobile, formerly known as Spyker Cars, said the move would buy it time to receive funding from Chinese investors, currently awaiting regulatory approval, and avoid bankruptcy. Saab Automobile has struggled with its finances for months. Production at its plant in the Swedish town of Trollhattan has been halted since April. In a bid to solve its long-term funding needs, the car maker this summer signed agreements with two Chinese companies. But Saab will receive no money until regulators in China and Sweden approve the deal, so the company is still strapped for cash. Depending on who you ask, American manufacturing is either the way out of our bad economy, or it’s dead. 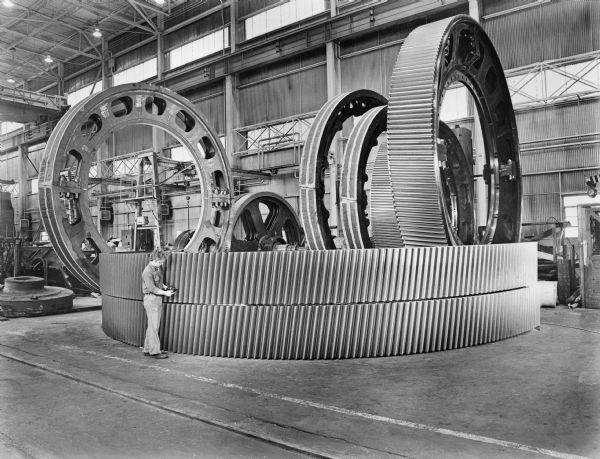 Whatever you think, there’s no denying that manufacturing has changed. That’s the story of Thogus Products in Avon Lake, Ohio. This manufacturer has changed so much, its President calls it a 61 year-old startup company. Governor Rick Snyder has signed legislation that would end cash assistance welfare benefits after a family has been receiving payments for 48 months or more. About 12,600 cases, many of them families with children, will close and lose their benefits when the law takes effect on October 1. In a statement, Governor Snyder says four years should be long enough for people to become self-sufficient and some people have been getting cash assistance for as long as 14 years. Critics of the new limits say many of the people who will lose assistance are families with children, and many of the people who lose the benefits are adults who can’t find a job in a bad economy. Governor Snyder’s administration says caseworkers will still make sure families who lose benefits will continue to get Medicaid coverage, food assistance, and help with training and job searches. The savings to taxpayers is pegged at $65 million dollars in the upcoming fiscal year. Republican state lawmakers say this won’t be the final word this year on changes in the welfare system. The State House could vote as soon as this week on more limits to public assistance, including making sure automatic teller machines in casinos cannot accept Bridge Cards to make cash withdrawals, and canceling the cards of people with outstanding warrants. What’s different about our factories? How are things changing in the Midwest, from the way people are trained to what’s being produced? This month, Changing Gears’ regular Wednesday reports will be devoted to the future of manufacturing. The days are long gone when all you had to do to get a factory job was know someone. These are not the same places your dad or mom or grandfather worked in. And the expectations of what employers need from you have changed, as well. We’ll kick the series off tomorrow with a report from Dan Bobkoff. Meanwhile, we’d like to pick your brain. What kind of factories do you think we’ll be seeing in the Midwest? Which industry will be next to catch hold here? We’re looking forward to exploring our manufacturing future with you. 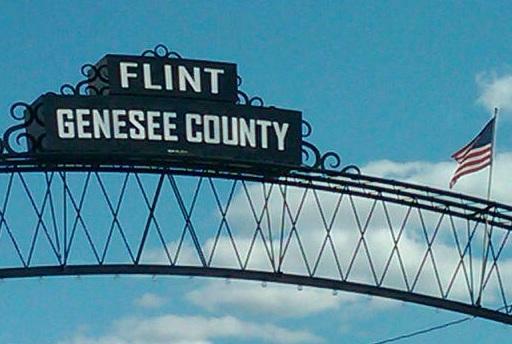 This Wednesday, Flint City Council will consider whether consolidation could be in the city's future. Government consolidation in Michigan has been a hot topic since Gov. Rick Snyder told local communities that they would lose out on additional state aid unless they showed a commitment to share services with others to save taxpayer dollars. Snyder set a Jan. 1 deadline for governments to submit consolidation plans if they want to receive a share of a $200-million pool of funds. Several local communities, including Burton, Clio, Davison and Davison Township, have already joined the initiative. The consolidation initiative is known as Future Genesee and the Journal reports it includes the communities of Burton, Clio, Davison and Davison Township. 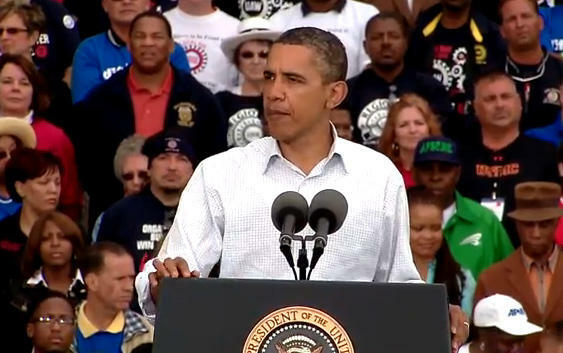 "Anyone who doesn’t believe it should come here to Detroit," said Obama. "It’s like the commercial says: This is a city that’s been to heck and back. And while there are still a lot of challenges here, I see a city that’s coming back." Obama said the nation "cannot have a strong growing economy without a strong growing middle class and without a strong labor movement." At the event, Obama was previewing his jobs speech, which will be given in front of a joint session of Congress this Thursday (September 8). "I don't want to give everything away right here, because I want ya'll to tune in on Thursday," Obama said. "But I'll give you just a little bit. We’ve got roads and bridges across this country that need rebuilding. We’ve got private companies with the equipment and the manpower to do the building. We’ve got more than 1 million unemployed construction workers ready to get dirty right now. There is work to be done and there are workers ready to do it. Labor is on board. Business is on board. We just need Congress to get on board. Let’s put America back to work." You know, I was on the plane flying over here, and Carl Levin was with me, and he showed me a speech that Harry Truman had given on Labor Day 63 years ago, right here in Detroit -- 63 years ago. And just to show that things haven't changed much, he talked about how Americans had voted in some folks into Congress who weren’t very friendly to labor. And he pointed out that some working folks and even some union members voted these folks in. And now they were learning their lesson. And he pointed out that -- and I'm quoting here -- 'the gains of labor were not accomplished at the expense of the rest of the nation. 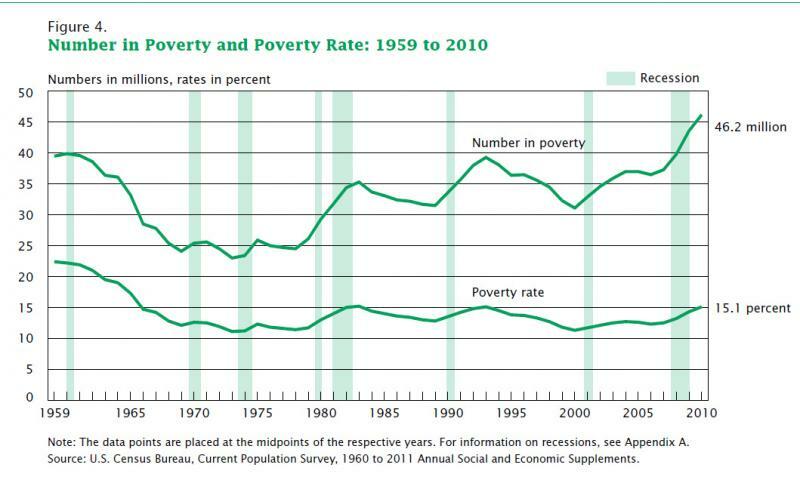 Labor’s gains contributed to the nation’s general prosperity.'" 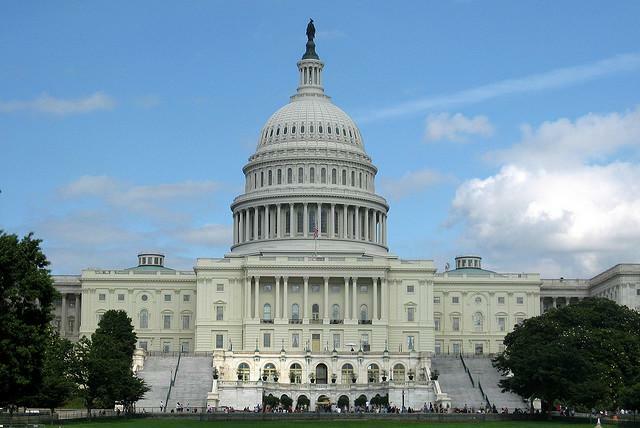 The nation’s home builders are one group expected to closely watch President Obama’s economic address to Congress this week. Pulte Homes of Bloomfield Hills is the nation’s largest home builder. Pulte, like its competitors, has seen its sales plummet as the housing market crashed in recent years. And past government efforts to prop up the housing market with tax breaks have failed to spur new home construction. With the price of gold soaring to near $1,900 an ounce this summer, you may have fantasized about striking it rich prospecting for gold. Some people are doing more than fantasizing. They are looking for gold in southern Michigan. You wouldn’t think to look at it, but this nondescript campground about 15 miles due south of Battle Creek is one of the centers for gold prospecting in southern Michigan. Most gold prospectors here are using decidedly low-tech methods. 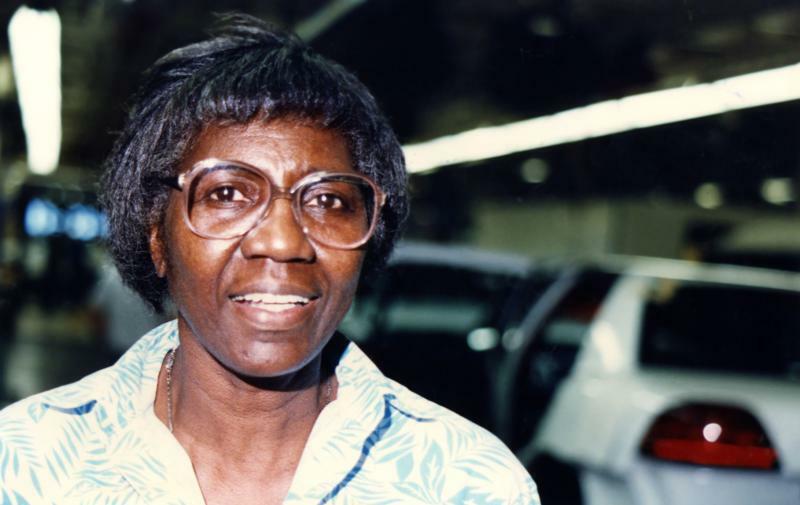 The United Auto Workers and Michigan State University collected oral histories from about 125 workers, managers, and others connected to the Fisher Body plant in Lansing. The plant closed in 2005 after more than 70 years of production. Fisher Body in Lansing was one of the longest operating auto factories in the U.S., according to a Lansing Car Assembly Facebook page. An MSU labor relations professor, John Beck, headed up the project. Beck said the oral history recordings "gave a lot of people a voice that they would not have had otherwise." The plant’s closing in 2005 threatened to effectively bury the workers’ experiences. But through the MSU/UAW partnership, these stories – which run the gamut from first and last days on the job, to tales of racism and sexism, to statements of pride and teamwork – are now part of a digital catalogue at MSU’s G. Robert Vincent Voice Library. The catalogue is called the Lansing Auto Town Gallery.